Srinagar, the summer capital of J&K, is acclaimed for various tourist attractions like picturesque Dal Lake, Lal Chowk, Mughal Gardens, etc. Moreover, there are many religious destinations that makes this city a tourist magnet. It houses some of the most revered shrines, mosques and temples of the country and attracts tourists and pilgrims of various faiths from around the world. Every year, thousands travel to Kashmir seeking spiritual peace and to offer their prayers in these shrines, alongside which, they relish the scenic beauty of Srinagar. Why plan with RK Sarovar Portico? One of the best ways to plan your vacation in Srinagar is with Hotel RK Sarovar Portico. Located on Suleiman Hills, this beautiful hotel offers lavish stay and premium hospitality to the visitors, contributing to their memorable experience in Srinagar. Hotel RK Sarovar Portico offers a great link to these famous shrines so that the visitors are at ease. 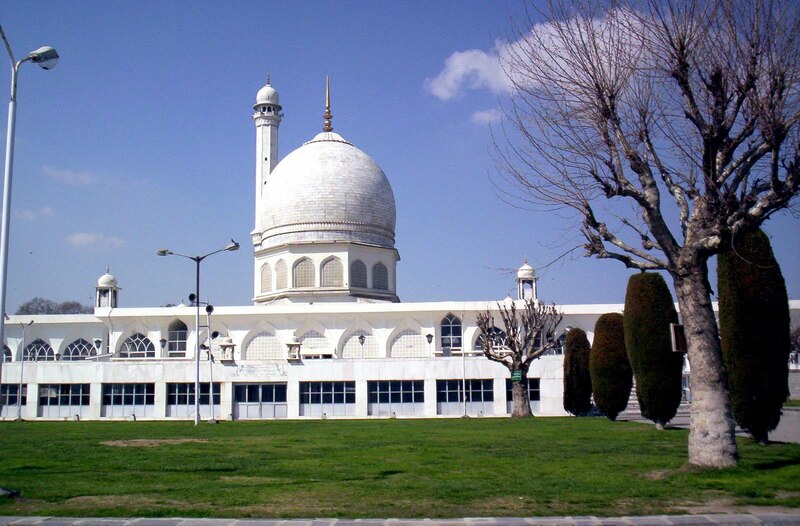 Hazratbal Shrine: Hazratbal shrine is the most sacred and world renowned shrines of Srinagar. As the name suggests, this shrine is believed to have the Moi-e-Muqqadas, or the Hair of the Islamic Prophet Mohammad PBUH. Situated on the western banks of Dal Lake, it faces the lovely Nishat Bagh and it is prominent pilgrimage site. Apart from being the most revered mosque, this place offers a peaceful environment with a spectacular view and splendid architecture. Zeshta Devi Shrine, Zaethyar: The eminent Hindu shrine dedicated to Zeashta Devi is located at Zaethyar in Srinagar district. This shrine has beautiful temple architecture and numerous devotees travel to this holy place. This temple is believed to be the heavenly abode Mata Zeashta and is associated with the legend of poison drinking by Lord Shiva. Makhdoom Sahib Shrine: Atop the Hari Parbat, you will find the esteemed Makhdoom Sahib Shrine, dedicated to the Islamic saint Hamza Makhdoom Kashmiri, who was a scholar and a spiritual teacher of Kashmir. One can reach the shrine using a cable car and it involves some trekking as well. So your travel can prove to be adventurous. Roza Bal Shrine: Also known as Ziarati hazrati youza asouph shrine, it is famous shrine of saints Yuz Asaf (Youza Asouph) and Mir Sayyid Naseeruddin. It is located in the Khanayar area of Srinagar. It is also believed that this shrine is the burial place of Jesus Christ, after he was resurrected and subsequent settlement in India, hence has a high degree of respect and popularity. 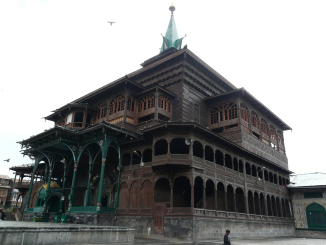 There are many religious shrines, mosques and temples in Srinagar to visit. However, these famous Shrines are a must see during your trip because these are the centres of popular culture, tradition and beliefs. These celebrated destinations offer breath-taking view of the city and loads of adventure for culture enthusiasts. Tourists prefer to visit between May to November, to enjoy the pleasant climate. However, pilgrims and devotees travel here to offer their prayers throughout the year. All in all, one will cherish the moments spent and feel blessed after visiting these famous shrines of Srinagar.